When Nathan and I first started talking about marriage, I was deadset on getting married on Long Island, for a long list of perfectly rational reasons. Now that we've spent a few weeks discussing our options, searching for venues, and comparing price tags, I'm starting to consider other options. 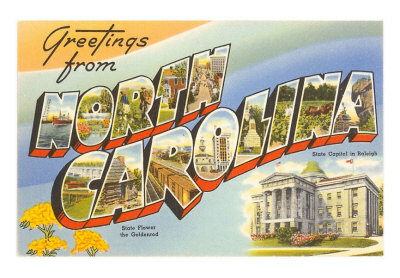 Namely, getting married in North Carolina, our home for the foreseeable future. We hope to have this issue settled by the end of the weekend, but just in case you were feeling left out of the planning process, here's what we're thinking and why. I was originally pushing for Long Island for a few reasons. 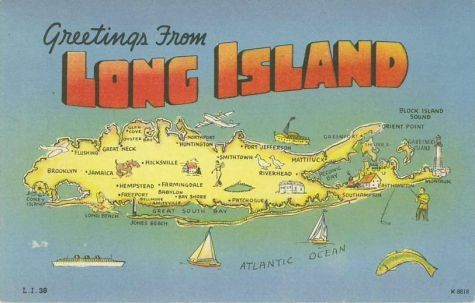 The first and most important is that Long Island is where my extended family lives. My family is much bigger than Nathan's, and Nathan's family actually likes to travel whereas mine rarely leave Long Island. I often feel distant from my extended family due to - well - my distance from them. I miss out on a lot of gatherings and celebrations, and it would mean a lot to have them around me on my wedding day. The downside of Long Island, and the reason we started looking elsewhere, is that interesting venues we felt encompassed our aesthetic and values were 1. super expensive, or 2. non-existent. Plus planning a long distance wedding was already giving me a headache. Because of Nathan's work and school schedule, the leg work of traveling back and forth while searching for a venue, caterer, etc, would fall on me. Not high on my list of fun things to do while trying to save money and get the most out of my MFA program. Plus this is our wedding, and Nathan and I both wanted him to be more involved in the planning process. Nathan originally brought up the idea of having the wedding in North Carolina, but honestly the possibility had already crossed my mind. If we got married in Wilmington, we could do so much of the planning together - looking at venues, visiting caterers, brainstorming ideas for decor, hosting our guests in a town we're comfortable in and familiar with. It would also be a great chance to show our friends and family the place where we've made a new home, not to mention the fact that Wilmington is a vacation destination to begin with. There's stuff to do here and it's much cuter than Long Island (sorry, LI, but we both know it's true). Also: things in North Carolina are cheaper than they are in New York. Much, much cheaper. The main downside of a Wilmington wedding is that it would essentially be a destination wedding, since 90% of our guest list lives elsewhere. This means that a lot of people (including my extended family) probably won't be able to make it. While this would be disappointing, I'm coming to terms with the fact that it's not the end of the world. I will almost surely have a bridal shower on Long Island, and I am certain my aunts, grandmother, and cousins will come to that, which is something. I'm reading the book A Practical Wedding, which is amazing and will get it's own post soon, but for now I'll quote this line about guest lists: "When you walk down the aisle, the people who are there are the ones who matter - those, and the people you hold in your heart." I love this idea, and thinking about that way makes me this whole location debate seem downright melodramatic. So that's where we stand on the location debate as of right not - somewhere in between Long Island and North Carolina. We hope to visit another venue in Wilmington this week, and make a final decision by Monday. Wish us luck!